Import-only 25 CD box set. Following the model of The Perfect Jazz Collection, this format comes in a cube lift off lid box, holding 25 original albums by 25 different artists. All original albums are replicated in mini jacket sleeves accompanied by a 40 page color booklet. 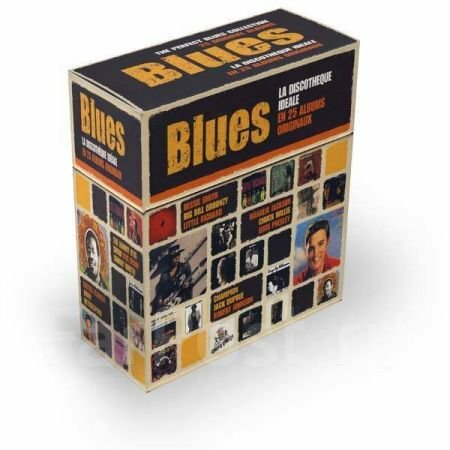 This excellent value package, contains albums by legendary performers from the Blues genre ranging from 1951-2003; across some real classic albums, from Stevie Ray Vaughan, Aretha Franklin, Robert Johnson, Muddy Waters, Taj Mahal, Etta James and many others. Columbia/Legacy. 2011.